Our youth shelter in Jombang offered a seminar for the various authorities dealing with youths during and after release. I worked with the participants with what we call anger management. To asset them to become aware of their emotions, to learn to dis-identify and identify, learning to observe as well as transforming anger. It was a successful event, with participants leaving with tools to be used on their own. 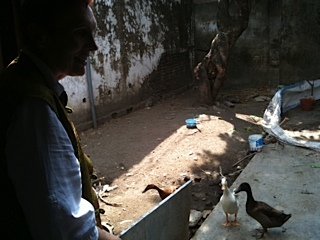 In the back of the shelter we have three ducks. They like to east watermelon, which I was feeding them on this picture. 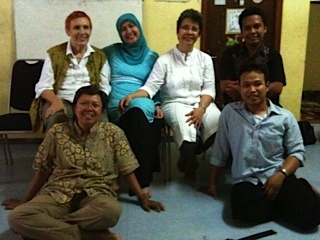 Thie is one of the regular evaluations we hold in Jombang Java at our shelter for youths released from prison. We usually invoke the youths and other organizations which provide services to us to join us for meditation and discussions about current issues. Part of the evaluation process is also to monitor our youths, which receive special skills training at the shelter. Some of them are already employed.